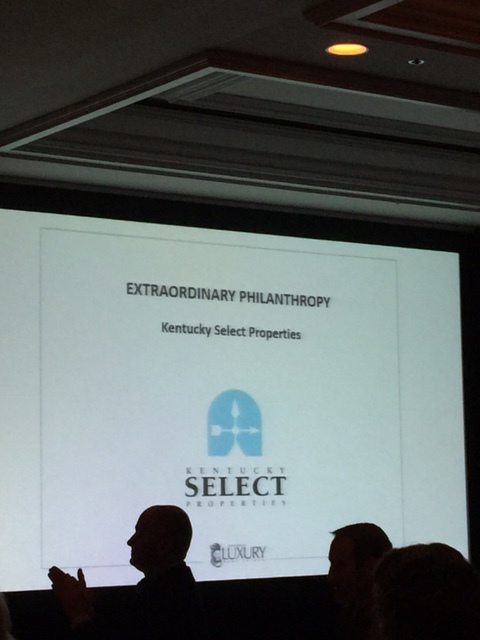 On Friday September 30 Who's Who In Luxury Real Estate and LuxuryRealEstate.com presented Kentucky Select Properties with the award for "Extraordinary Philanthropy" at the 21st Annual Fall Luxury Real Estate Conference at the St. Regis in Aspen, Colorado. 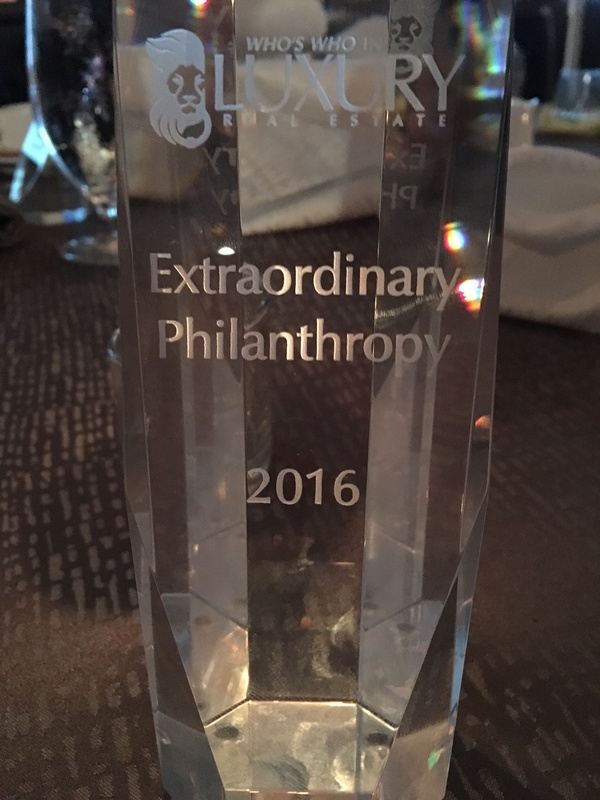 The award recognizes the LRE member who shows a passionate commitment to community service and philanthropy in their market. LuxuryRealEstate.com, frequently ranked ‘Best Website’ in consumer and industry surveys, has been recognized for excellence by the WMA Awards and the Webby Awards and has been voted ‘Best of the Web’ by Forbes Magazine multiple times. Since its debut in 1995, LuxuryRealEstate.com has remained the #1 portal for luxury properties on the internet and has several times more $1,000,000+ content of any near-peer. Known in the industry since 1986 as the Who’s Who in Luxury Real Estate network, a global collection of the finest luxury real estate brokers in the world, this group of more than 130,000 professionals with properties in more than 70 countries, collectively sells in excess of $190 billion of real estate annually.